" The tourism promotion that we are doing is cooperating with travel agencies, social media, and public media"
As we know, the Seribu Islands is one of the National Tourism Strategic Areas (KSPN) set by the central government. That is why Jakarta Tourism and Culture Dept. keeps intensively promoting tourism in Seribu Islands, North Jakarta. 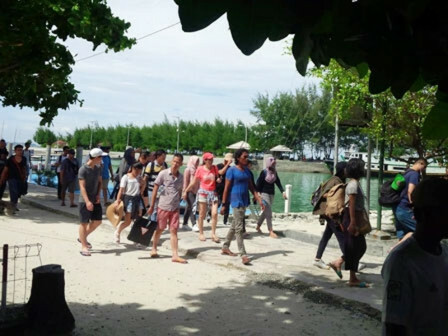 "The tourism promotion that we are doing is cooperating with travel agencies, social media, and public media," expressed Asiantoro, Acting Head of Jakarta Tourism and Culture Dept., Wednesday (9/12). Aside that, development and improvement of tourism facilities are also intensified in the region. That is by repairing piers and making a plan to open an airport on Panjang Island. "We surely do this to attra ct more tourists," he said.